The Flomax television commercial tells viewers to let their doctors know about Flomax use if they are planning to have cataract surgery. That’s good advice! Flomax use (either currently or in the past) is associated with cataract surgery complications. Unfortunately, stopping the medicine before surgery often does not decrease that risk. The good news is the advancements that we have implemented in our surgery have made this a non-issue for our patients for more than a year. That means faster recovery and less problems for our patients as we anticipate potential Flomax issues before they become a problem. Flomax® is an oral medicine usually used to treat benign prostatic hypertrophy (or enlarged prostate) that many older men have. The drug helps them have more normal urination function. The drug is a class called alpha-1 blockers. This drug can have an unintended effect on the iris muscles during cataract surgery that can, in turn, make surgery very difficult. The iris ideally stays dilated and still during surgery in order to safely see inside the eye. This is usually no problem with the ordinary drops given just before surgery. But this isn’t the case for Flomax users. The problem is called ‘Floppy Iris Syndrome”. During FIoppy Iris Syndrome, the iris muscle is excessively flaccid and progressively constricts during cataract surgery. The view to the cataract then becomes obstructed. Other alpha-1 blockers including Cardura® (doxazosin), Uroxatral® (alfuzosin), and Hytrin® (terazosin) are also associated with this syndrome, albeit usually in a less severe form. The good news is that we now have several techniques and tools to help us effectively manage this syndrome during cataract surgery. The most successful one is the Malyugin Ring®. The Malyugin Ring is a tool that we have found to be particularly useful for patients on BPH medications, as it helps to both dilate and stabilize the iris during cataract surgery and it is a very safe and easy instrument to employ. It is removed after the cataract surgery. There are other techniques and we keep a good supply of them ready to use in a moments notice so that our patients never have to suffer through the problem. Anticipating potential problems and being able to address them quickly is one way The Eye Clinic of Florida helps patients have better outcomes. Some patients have asked whether they should stop their BPH medications prior to cataract surgery. We have not found any significant benefit from having patients stop these medications and several studies have demonstrated that the IFIS syndrome can persist even months after stopping these medications. Also, since we have the technology above to effectively manage this condition; there is no need for patients to discontinue their BPH medications prior to cataract surgery when having surgery with us. Even if they forget to tell us about past use, our large inventory of Malyugin Rings ensures no patient is ever without the best therapy. That’s good news since cataract and BPH are both very common. I can’t comment on how others prevent problems with Flomax. We hope you will feel reassured when choosing The Eye Clinic of Florida for cataract surgery. If you have any questions about the above techniques or any other eye conditions, please call us at anytime at (813) 779-3338. You can also call this number to schedule an appointment. 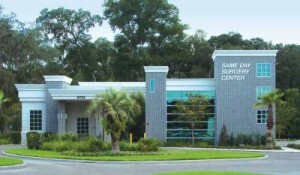 Same Day Surgery Center in Zephyrhills. Accredited and Licensed Medicare Provider of outpatient surgery. Click to learn more about cataract surgery in Zephyrhills.